Whether you are shipping fragile or calibrated products, or inventory for a JIT production line, you want to be sure that the products are undamaged and ready for use when they reach their destination. Damage to parts during shipping or storage is costly – they must be repaired, cleaned or replaced, and the plant could lose production time. Boomerang Packaging, Houston's premier supplier of packaging products, carries the full line of ShockWatch® equipment monitors to verify that your products have not been damaged while in transit. Our staff is available to assist you in selecting the impact indicator/monitor that is most effective for you application, whether it's a large shipment overseas, or a small local shipment. Impact and Dropping – Protect your fragile, sensitive or calibrated parts by monitoring whether they have been mishandled during transport and storage. 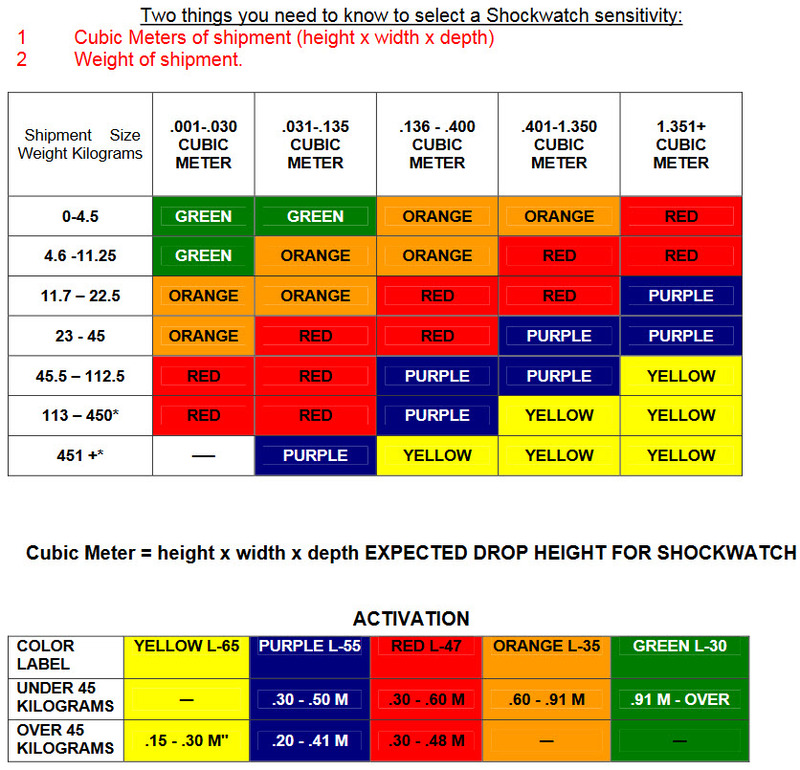 ShockWatch® monitors measure impact force, and are available in a wide range of models and settings. Tilting and Upending – ShockWatch's® TlitWatch® provides information on the amount of tilting during handling for fragile, sensitive or calibrated goods that need to be upright. 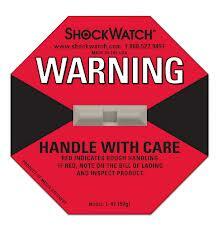 Shock and Vibration – Direct handling of your parts is not the only way they can be damaged. ShockLog recorders measure shock, vibration and environmental impacts from the facilities and equipment that surround your products. Boomerang Packaging is committed to providing every customer with unparalleled customer service and packaging solutions. We work with you before, during and after your purchase. If your products don't perform the way we tell you they will, we’ll replace them or refund your money, no questions asked. It's all in our name- we work hard for you, so that you keep coming back- Boomerang!